Is StuffPoints a Scam? Read 2 Reviews! Prizes: Gift cards, virtual currency, etc. StuffPoints Exposed — Are You Really Going to Waste Your Time? Sometimes I really wonder about these sites. 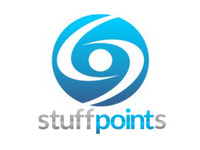 StuffPoints.com is a place people can earn points to buy prizes. It says it’s a ‘reward portal’ that connects people with brands and introduces them to new ‘shows, movies and content’. Okay, they do that, but boy I don’t think I’ve ever felt like I’ve wasted so much time. The amount of clicks and moving around to simply earn a few points makes this a serious waste of time. At first, this site looks like it’s going to offer a bunch of opportunities to win points to spend on vouchers. But you spend a heap of time trying to figure out where and how you can earn points and end up clicking around a lot. StuffPoints.com should get stuffed. It’s all a bit confusing going between tasks, viewing and other options on ways to earn points. Stuff Points is a platform for advertisers to show their stuff. Players get points by viewing, visiting and answering questions about apps and games and other things. I was looking at their “tasks” area and had a good laugh as they say “Please note that you must follow the instructions above or you will receive a warning. Too many warnings may result in a balance deduction or account suspension.” So if you don’t do exactly as they say, you could lose points from your account. The number one factor in who can participate is you must be able to understand English. Not speak or read, but “understand”. You also must be at least 18 years or older… Or you’ve got your parents to agree if you are 13 years old. Okay, then I had a good laugh. They say that you’re going to have to prove up your identity using an official driver’s license, passport or your previous year’s tax return. That’s fine if you are over the age of 16 but do you know any 13 year old that has any of these? What Are the Prizes Offered by StuffPoints? Basically, you jump through a bunch of hoops to earn points which can be spent buying gift cards. It looks like there are more things to buy with points than actual games to earn points. These range from Xbox, Amazon.com, video games and game credits – and cash. The range of points earned goes from 1 through 1,000 depending on what you are completing. Good question! Who the heck are these guys? There is no information and after copious amounts of digging around, we’re still not sure. Besides the age thing, members are limited to one account per household and IP location. You can’t sign on through a proxy, cell phone or public internet connection. You must sign up with your own, real name and cannot share the account with anyone else. Oh, except married couples ‘living in the same household’. They can share the account. StuffPoints say to allow ten business days to get your reward (excluding weekends and holidays). You’ll get an email confirmation. PayPal (cash) takes ten to fourteen days and SecondLife Linden takes five days to your account. Usually, I would go so far as to say, if you do have the time to click and play, why not. I can’t say it here. This is a link to a link to a link where you end up spending a lot of time to earn a few points that might slowly add up to a voucher for something – but each site means you have to submit your details and make sure you read the small print. Is StuffPoints.com Scam or Legit? There is nothing here that says Stuffpoints.com is not legit at the same time there should be a point where you value your time more than the points you will acquire clicking into the sites for prizes. It’s very time consuming though you will slowly work your way using your points to buy prizes. The team agreed overall they found this site a little confusing and awkward to get around. There is a heap of options on ways to earn points, but make sure you do it correctly or they’ll take points away. If you do have the time to sit online and view StuffPoints’ stuff to earn points, then you will earn points to be able to buy prizes. I definitely do not have the time. I just literally went on the site for the first time, and it said that my got suspended.